David is a keen traveller who has been lucky enough to visit countries in Europe, Asia, Africa, North America and South Africa (his favourite destination so far has been Phuket!). When David isn’t travelling, he spends his time writing for travel comparison website TravelSupermarket.com. If a list of modern Wonders of the World were to be created, then some of our major cities would certainly feature. Not just for their shimmering architecture, gleaming spires and peering minarets, but also for their verve, their charm and, of course, for the people themselves. But what about those open spaces and parklands that let these great conurbations breathe? The Forbidden City in the Centre of Beijing was the name of the imperial palace that served for 500 years as the home of Emperors. 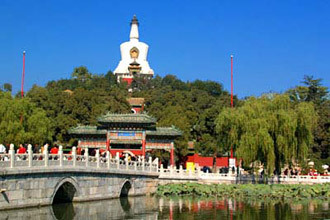 Just to its north lies the Beihai Park. Up until 1925, the park was private land for the exclusive use of the Imperial Court, but since then has been open to the public as a park. In horticultural terms, the whole complex is nothing short of a masterpiece. 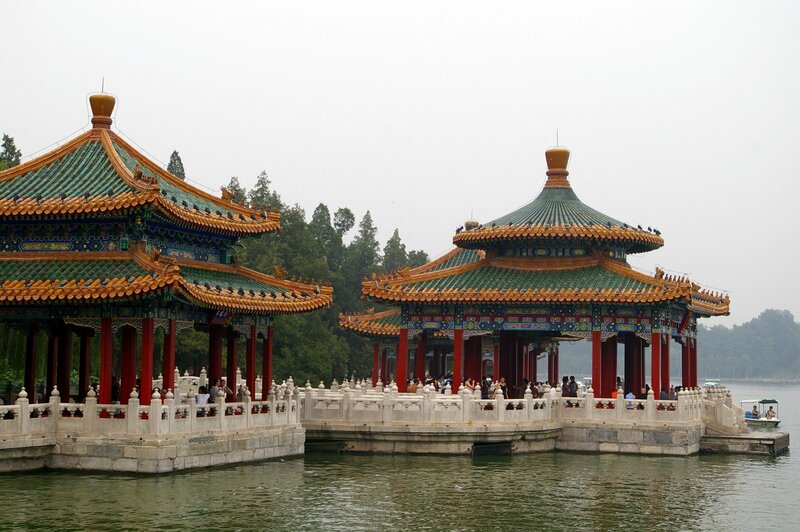 It features a lake with on-shore pavilions and a series of canals, as well as ornamental garden structures that reflect the power, art and culture of the various Dynasties throughout the ages. 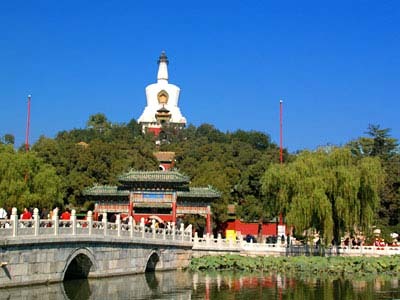 The Chanfu temple on the northern shore of the lake is a sanctuary of deep religious significance, further adding to the spiritual atmosphere Beihai Park generates. It is a place to replenish the soul. Served by Flagstaff railway station, Flagstaff Gardens is the oldest park in Melbourne, widely used and popular with office workers and tourists alike. A walk through the gardens mirrors the history of this great city and capital of Victoria, as tributes to the Gold Rush stand alongside memorials and sculptures that reflect the vision, courage and intelligence of Melburnians past and present. Manicured lawns co-exist with fig, elm and eucalyptus trees to provide a green oasis in the centre of the city. For the sports enthusiast, there are tennis and volleyball courts along with a bowling green. Designated barbecue sites encourage that most typical of Australian gatherings and make for a December office party with a difference. 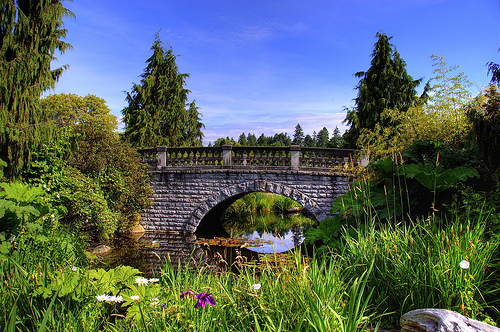 Stanley Park is a municipal, urban facility that borders on downtown Vancouver in British Columbia. It attracts some 8 million visitors a year, tourists and locals alike and provides the visitor with a plethora of things to do. It features a 5 mile seawall pathway popular with walkers, cyclists and rollerbladers. The forested area gives the park a natural charm of its own and the large colourful totem poles that decorate the park both stimulate the senses and pay due deference to the native, indigenous culture. There are lakes, lagoons and beaches and all a short distance from the city centre. In Portugal’s capital city Lisbon is the Monsanto Forest Park, the largest open space in the city that offers its visitors the chance to both rediscover and reconnect with nature. Oak trees and pine trees abound and various species of birds with their magical colours and joyous singing provide the perfect antidote to hectic city life. 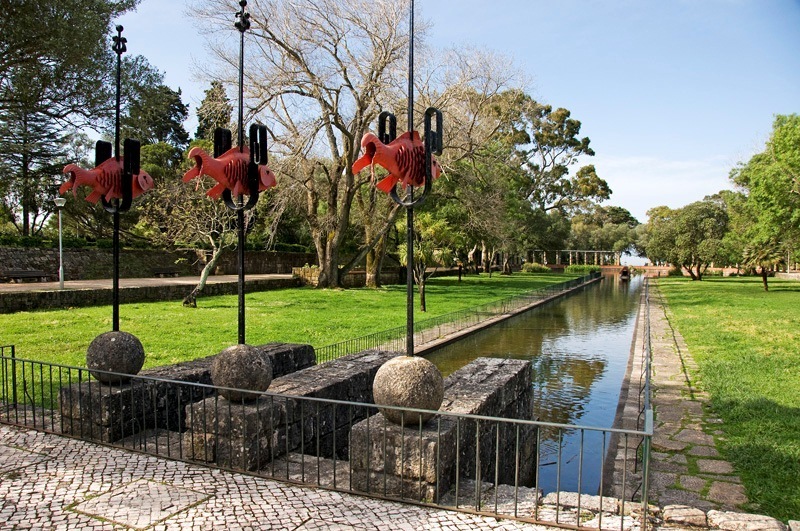 Within the Forest Park lies the Ecological Park of Lisbon, which is an important centre for the preservation and protection of the environment. Its Interpretation Centre strives to communicate to its visitors the importance of a more nature focussed existence and uses an exhibition space and an auditorium to get the message across. Ueno Park is a large public open space situated in Taito, one of the 23 special wards or municipalities that make up the core of Japan’s largest city and capital Tokyo. The park came into being in 1924 when the land was gifted to the state by the then Emperor Taishō. Spacious by design, it plays an important social and cultural role in the life of the city and is popular with both Japanese and tourists alike.It is home to three Museums; The Tokyo National Museum, the National Science Museum and the National Museum of Western Art, as well as numerous Shinto shrines, statues, memorials and even Japan’s oldest zoo, just a five minute walk from Ueno Station on Tokyo’s public transport network. Enjoy the tree-lined walkways brimming with cherry blossom, the sculpted gardens and the manicured lawns or, if you feel a touch more energetic, the Amusement Park is a lively experience. In a city famous for both its attitude to celebrity and its familiar movie locations, New York’s Central Park is a star in its own right. Set in over 800 acres of land in mid-town Manhattan, the park initially opened in 1857, although its first phase of development wasn’t completed until 1873. It attained National Historic Landmark status in 1963. Its natural look is actually the result of ongoing rigorous landscaping and with lakes, ponds, skating rinks and, of course, the Central Park Zoo, it attracts upwards of 35 million visitors a year, by far and away the busiest urban park in the United States. With theatres, summer festivals, a castle, a wildlife sanctuary and its highly acclaimed Conservatory Garden, Central Park could occupy your entire trip to ‘The Big Apple’. The best way to see all of it is of course by one of the famous horse drawn carriage rides. At the south-western entrance to Lumpini Park in central Bangkok stands a statue of King Rama VI, the man responsible for the creation of this rare open space, named after Lumbini, Nepal, the birthplace of the Buddha. Walk amongst the towering trees or take a boat out on the artificial lake, or maybe an evening stroll along one of its meandering pathways is for you. There is a no smoking policy and unusually for an urban park, no dogs are allowed. Look out for festivals, recitals and musical evenings in the park’s stunning Palm Garden, as the cultural meets the spiritual just minutes away from the hustle and bustle of Thailand’s major city. With a population of some 20 million and as the largest city in the southern hemisphere, São Paolo really needs its greenery and open spaces. 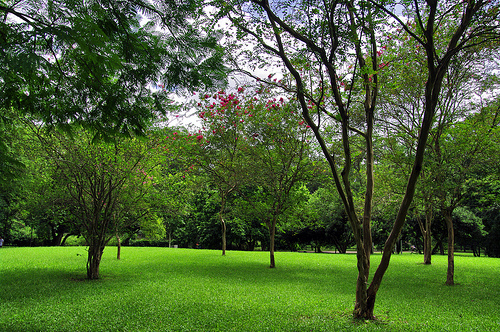 Ibirapuera Park covers an area of nearly 2 square kilometres and fits the bill perfectly. It came into being in 1954, with buildings designed by influential architect Oscar Niemyer and landscaped under the direction of Roberto Burle Marx, one of the most inventive designers of his day. The complex contains several pavilions, an indoor sports centre, a Planetarium and the Obelisk of São Paolo rising iconically 72 metres skyward, providing a monument to the Paulista War of 1932. Park Güell in Barcelona was designed by Catalan architect Antoni Gaudi and built between 1900 and 1914. 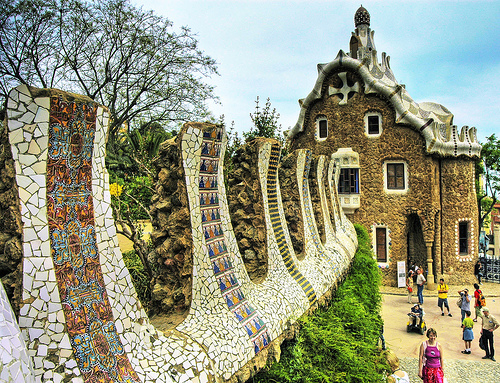 It is part of a UNESCO World Heritage Site attributed to the works of Gaudi, a passionate man strongly influenced by his love of Catalonia. He is thought by some to be the iconic father figure of Barcelona and this fabulous complex remains one of his lasting legacies. Many of the buildings seem almost eccentric in design, with flamboyant shaped roofs and unusual towers. His skill was to combine the fun of a pleasure garden with the peace and serenity a park can offer. He has succeeded and this is indeed a visit that will long register in the mind. In a city brimming with tourist attractions, London’s Hyde Park is one of the favourite destinations. One of the Royal Parks, it is synonymous with pomp, ceremony and that sense of occasion but also retains the ‘common touch’, regularly staging open-air concerts and is famous above all for ‘Speakers Corner’, an outdoor forum for public speaking, debate and discussion. There is so much more, for example boating on the Serpentine, a recreational lake so named for its twisting shape. The Park was the site of the Crystal Palace from the 1851 Great Exhibition and today, both the Holocaust Memorial and the Diana Princess of Wales Memorial allow ample opportunity for thought and reflection. It is an open space that can offer you both splendour and solitude whilst tapping into a sense of the historical past. Thank you, great article. I always try to find green getaways from the bustling cities. what a pity i didn’t know about Monstato Forest Park in Lisbon.